Are you sick and tired of being sick and tired of your unwanted junk and clutter? Have you been wanting and wishing to get the clutter taken out of your home or office for quite some time but just don’t know how to even go about it? If this sounds anything like you and you live or work in the McKinney, Tx area, then I have the perfect remedy to your junk issues! The Stand Up Guys Junk Removal Crew! 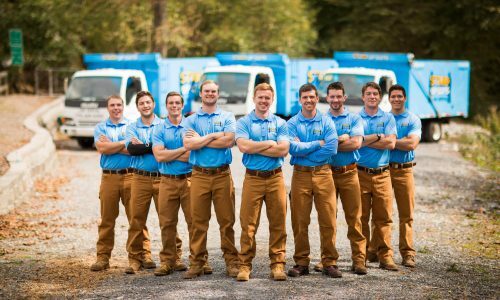 The Stand Up Guys are the number one option for junk removal and junk hauling in all of McKinney and the surrounding areas. We’ve earned the title of #1 through years of hard work and dedication to one very important thing; Customer service! Here at Stand Up Guys Junk Removal our customers and their needs are of the upmost importance. We ensure that all of our McKinney customers and clients are continually WOW’d by our service 100% of the time. Our customers happiness is number one on our list of importance. Another reason why The Stand Up Guys have earned the great rapport with the people and businesses of McKinney is because we will pretty much do anything and everything for our clients! The Stand Up Guys will take anything from furniture, household junk, construction debris, appliances and more. You name it and we’ll remove it for you! Don’t worry about breaking a sweat either, because The Stand Up Guys will take care of all the heavy lifting, loading, hauling and disposal. All you have to do is point out what you want gone, and we take care of the rest. McKinney is one of Collin Counties finest, along with one of the largest towns in all of Texas. To be exact, McKinney is the 19th most populated city in the great state of Texas. That stat says a lot, given that Texas is the second largest state in America. There are quite a few reasons for the massive population here. One being McKinney is nicely located to the city of Dallas as well, only about 30 miles from downtown. The commute from Dallas to McKinney is a breeze. So if you work downtown, but live and raise your family in McKinney, you can do it with ease. The word has really gotten out there about McKinney too. People from all over are moving to the great city and it shows. McKinney was listed as the nations FASTEST growing city from 2000-2003 and then all over again in 2006, and a measly second fastest in 2007. With all that growth, McKinney is said to now have more than 160,000 people. There is a lot of history to McKinney as well. The area dates back to the late 1800’s when William Davis donated 3,000 acres for the townsite that is now known as McKinney. The town would later incorporate in 1913. It took quite a long time for the area to become populated. It was known mostly for farming of flour, corn, and cotton mills, cotton gins, a cotton compress, and a cottonseed oil mill. The population was around 10,000 in the 1950’s. The cities boom in population began in the 1980’s and never looked back. 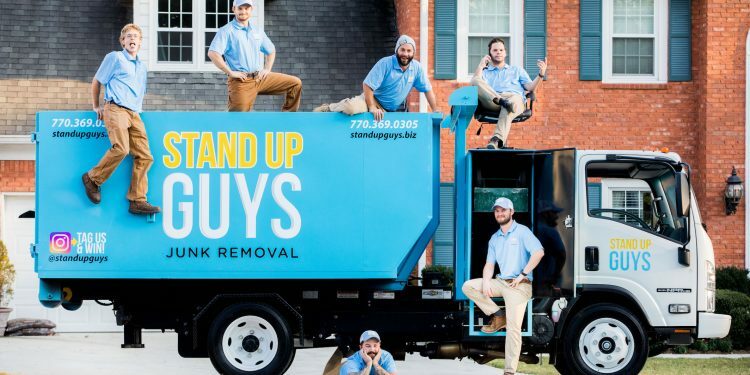 The Stand Up Guys Junk Removal Crew service all of McKinney and it’s fine residents and businesses. We cover the entire town from one end to the other and offer our top notch customer service. We love all of our fine McKinney customers.